Many people, from various programming communities, have come to the conclusion that if functions are first-class objects they should be allowed properties. For example, if a function in a test suite is checking for regression of the fix to a particular ticket, it could have a property for the ticket number. Then other parts of the code can deal with it in a consistent way through introspection, without keeping related information all over the place. But you can’t really do annotations in C (despite a half-arsed attempt by Microsoft). Or can you? Then you #include the file anywhere you want to work with this data, but you #define item() as appropriate each time. This way, the data only needs to be modified in one place, and it’s guaranteed to stay in order. It occurs to me that what we have here is pretty close to annotation. True, it’s in another file, but C also requires that the prototypes of public functions be in a separate file, and nobody minds about that. So Metacity in trunk is now working fine using this system. There are a few places it could be neater; screen and window bindings have always been kept separate, but it would possibly make sense to keep them together and distinguish them (as they already are distinguished) by the cunning use of flags. Also, the handler functions should probably be given by name and not calculated from root and suffix, because it’s just confusing. This whole idea also means that the GConf schemas which concern keybindings can be generated during the build process, which solves GNOME bug 469361 rather neatly. In conversation with Rodney Dawes it also came up that most of the short and long versions of the keybinding descriptions say the same thing in twice in different words, which is an unfair burden on the translators. I have merged them as appropriate: the number of strings has gone down by about thirty, and the .pot file is now 70% of its former size. 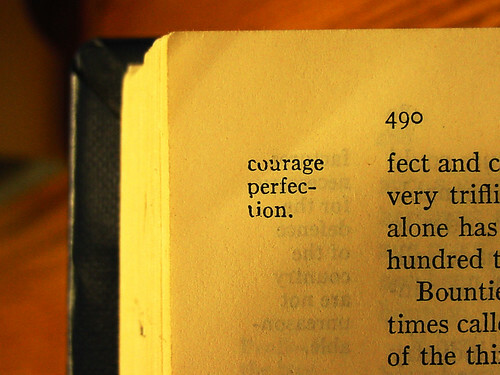 Photo: Perfection in the Margin, © Adam Shaylor, cc-by-nd.